Nokia has launched its latest Lumia smartphone today in India, Lumia 510. The device brings a 4-inch, 480×800 pixel screen, an 800MHz Qualcomm processor, a 5-megapixel camera, 256 MB of RAM and 4 GB of storage memory. 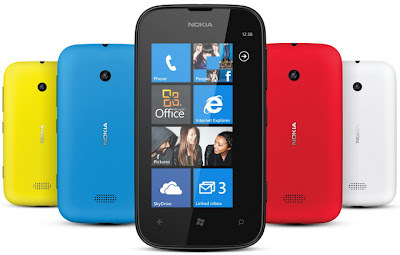 It’s powered by Windows Phone 7.5 or Mango with a WP 7.8 update promised for the future. Yes, besides the screen size, this particular Lumia does not have thrilling specifications, but Nokia promises it will be its most affordable Lumia yet. Nokia says the device will be priced below 11,000 Rs ($205) and will be available to buy starting in November in India, China, South America, and Asia.